It’s official. I’m addicted. I’m addicted to ice cream. I’m addicted to this honey sea salt peanut butter ice cream. 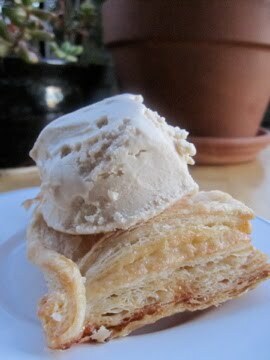 I love peanut butter, I love honey, I love salt, especially flaky sea salt. 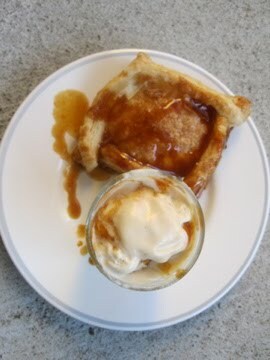 I’m addicted to making and eating caramel sauce. Burnt sugar? Yep. Addicted. Leftover puff pastry diamonds that I made at work? Yep. Addicted. It’s official. I am out of flour, I am out of vanilla, I am nearly out of sugar. A baker’s job well done, I’d say. Resist the urge to stir until the last possible moment…annnnnnnd…now go! Stir! Add a bit o’ butter…stir (I actually prefer to nudge rather than stir)! Add some heavy cream…nudge! Breathe. My base. 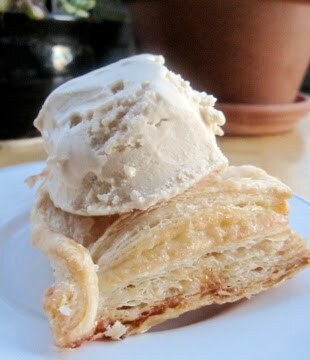 Puff pastry diamond with some honey sea salt pb ice cream. This photo was taken before my ice cream scooper broke. It was also taken before I made caramel sauce. Heat one cup of the heavy cream in a sauce pan until simmering. 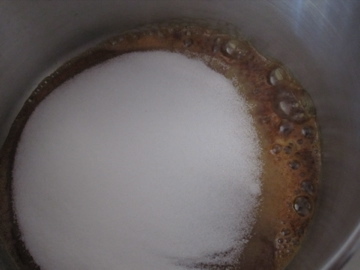 Add the sugar to melt. In a separate bowl, whisk the egg yolks. Add a little of the hot cream and whisk to combine. Add a little more, then pour the contents of the bowl into the pan and stir until thickened (or 165 F). Off the heat, add the peanut butter, sea salt, honey, and vanilla, stirring to combine. Taste and add more sea salt or honey to taste. Chill in your fridge, whisk in the additional cream and milk (tasting to adjust the salt and honey), then stir in your ice cream machine as recommended. 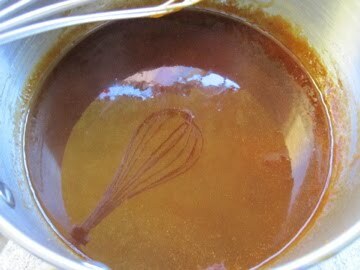 For the caramel sauce, heat the sugar in a saucepan over medium heat, until the sugar turns golden. Stir until all of the sugar is dissolved and just starting to turn a lovely dark amber color. Remove from heat and add the butter, and stir to combine. Careful, it’ll foam up. 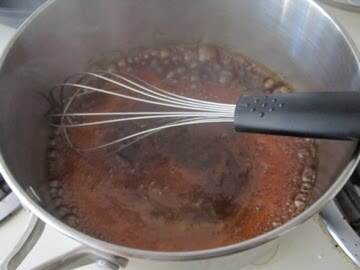 Then add the heavy cream and vanilla extract, stirring to combine. Pour the caramel into a glass jar and store in the fridge for up to two weeks. Pour over everything and anything! 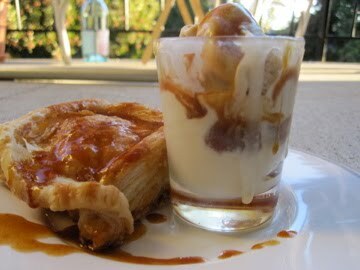 ***FOR MORE CARAMEL, CHECK OUT MY CARAMEL ICE CREAM!!!! >oh stephanie…. you tease! this looks and sounds SO DELICIOUS!!! i recently ate way too much of ben and jerry's peanut brittle flavored ice cream (recommended) but this looks like the amazing, gourmet real-deal that ben and jerry are knocking off for mass-marketing. >Thanks Sarah! I will have to try BJ's peanut brittle flavor…let me know if you have any fun ice cream flavor ideas that I could create!